What are Different Types of Cyber Security? With a lot happening in the online world computer security has become of utmost importance. Both individuals and businesses need to secure their data from loss and intervention. Cyber criminals are hovering over web security world to disrupt and spread malice. Computer security as the name suggests is protection of system and information stored on it from threat actors. It is the branch of information technology that deals with data protection on PC and network. With the advent of technology and interconnectedness organizations are becoming computer dependent. Making computer security important. Computer security is also known as cybersecurity, IT security, application security, network security, disaster security and more. In short, we can say computer security is an umbrella term under which several types of security fall. To keep data protected and secure from unauthorized access computer security is needed. Not only this computer security even helps to run computer system smoothly without any virus, malware, or other threats. Here we discuss different types of computer security. As the name says includes measures and countermeasures taken to handle vulnerabilities and threats that may arise during application’s development stage. In general it is a practice of adding security features to the software to prevent it from different threats. This includes: data breach, DDoS attack, cyberattacks and others. Refers to protection of physical system from damage. The vulnerabilities that come from hardware device rather than the software fall under hardware security. Even when computer is not plugged in, any person can steal or destroy data by opening the cabinet and accessing hard drive. Therefore, for overall data safety hardware security is also important. If a system has crucial information, it should be kept under constant surveillance. Also, disk locks should be used so that removal of CPU cover protecting internal components becomes impossible. Is an idea executed to protect software from hacker risks or malicious attacks. Software security offers authentication, integrity, and any compromise to it makes software vulnerable. Software system can be attacked to damage software, steal data, introduce vulnerability, and others. Therefore, we need to take care of software security. The process of protecting data from being corrupted and from unauthorized access throughout its life cycle is data security. It includes data encryption, tokenization and other practices that help to protect data across all platforms and applications. Is designed to protect integrity and usability of your network and data. It monitors and prevents unauthorized access of internal networks in an organization. By using both software and hardware technologies network security guarantees safety of internal networks. Helps to scan, protect, and secure website servers from back doors. 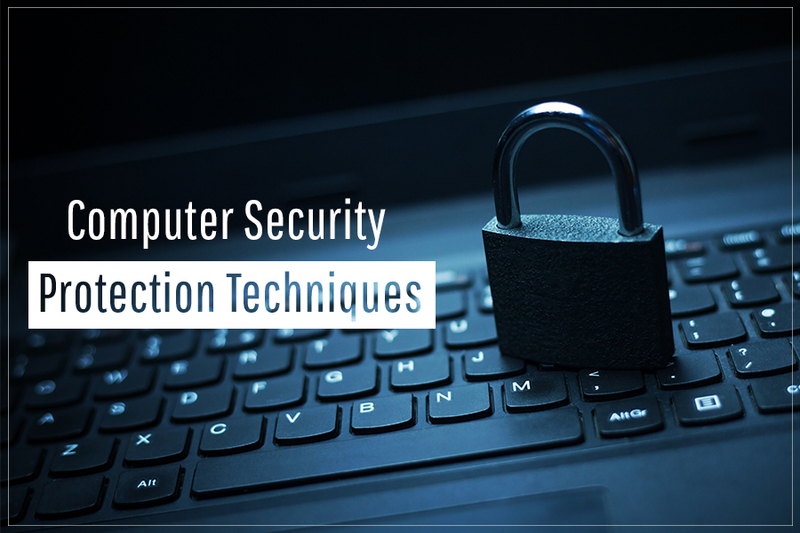 It is a very critical component of computer security and is used to protect and prevent websites from cybersecurity risks. Website security software notifies user if there are any security issues exists in the website and how to address them. Methodology of protecting corporate network when accessed remotely is called endpoint security. This helps organizations to stay protected from remote attacks. As each device with remote connecting is a threat to security therefore they need to be protected. This security is provided by end point security to these devices. If we keep these common types of computer security in mind we can stay one step ahead of cyber criminals. Not only this computer security guarantees overall security of your software, hardware from virus, worms, DDoS and other threats. Read Also : Cyber Security Insurance: A New Age Scam? To stay protected from all online threats one needs to use an updated anti-virus, use firewall and never trust unknown sources.